Last night, a newer Twitch cooking streamer asked us is we had any advice about growing a community. While our cooking stream isn’t particularly big, nor are we particularly successful as streamers, after eight months of streaming on Twitch apparently I have Some Thoughts on the matter. My response to him got a little long-winded for a comment, so I decided to turn it into a blog post. 1. Consistency. If people know when to expect to see you, they’re more likely to show up regularly. Also, the more you’re around, the more opportunities people have to find you. 2. Be in it for the long term. Communities don’t happen overnight. Raids are amazing, and it’s always fun to see follows coming in, but realistically it takes repeated exposure before people start to stick and become part of your community. Lots of people follow, but then never come back. You have to be okay with slow, incremental growth. 3. Don’t get discouraged. Sometimes people who are a huge part of your community will fade away. Sometimes people will disappear for months and then come back. Life happens. It’s usually not personal. Same goes for viewership – some weeks viewership is great and it feels like you’ll get to Partner in no time. Some days nobody shows up and you feel like you’ll never get there. Don’t worry too much, and just keep going. 4. Don’t be in it for the money. 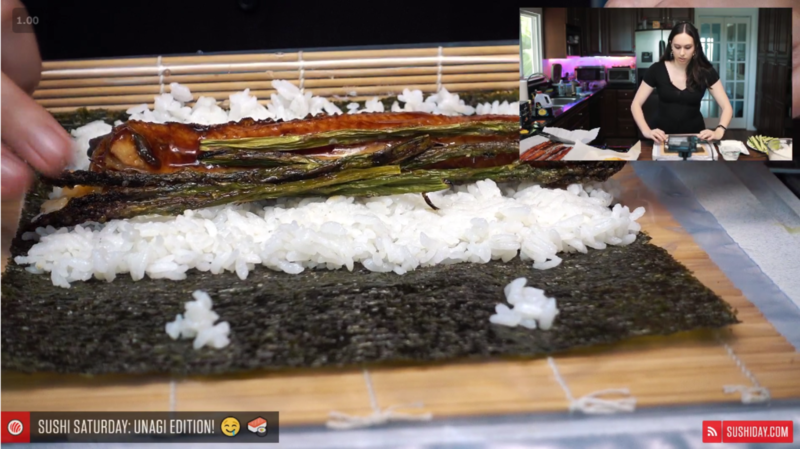 Being a good cooking streamer can be expensive. There are a lot of amazingly generous people out there, but even so, the cooking community is relatively small. It’s highly unlikely most of us will ever be able to support ourselves from our streams. Be okay with this being a hobby. For us, there are so many benefits to streaming that are not monetary. 5. Invest in your community. Your community is one of the most important parts of your stream. Talk to chat, remember people, involve them in your stream. Everyone loves to feel special, and nobody likes to be ignored or forgotten about. This may not be true for every streamer, but for us having the Discord has been great for our community. 6. Quality helps. We went a little overboard, but in general, people prefer to watch and listen to better quality. Also remember that quality doesn’t just mean audio/video – how you speak, what you say, what/how you show things on stream, etc. are all ways you can improve quality without investing more money into your stream. 7. Find your own voice. It’s easier, more fun, and much more sustainable to be genuinely yourself. For example, if we tried to be super wholesome all the time, or tried to pretend that we’re chefs and cooking experts, we’d be both boring and bored – that’s not who we are. (And there are some streamers for whom that *is* genuinely who they are, and it works way better for them than it would for us!) Trying to copy someone else just ends up awkward. Trying to be [insert more popular streamer here] would never work for us – they are all great, but we’d just be shittier versions of them if we tried to mimic or copy. If you haven’t found your voice yet, don’t worry, it takes time. Just be yourself! It took us months of streaming before we felt like we found our voice. And it’s okay to be a little ridiculous. 8. Social media. This may not work for everyone, since I already started with a little bit of a social media following, but I have noticed that people do find us through Twitter, Instagram, and Facebook. Not a ton, but I like to think it does expose more people to the idea of cooking being a thing on Twitch. I’ve also found that visuals help – a post with a delicious-looking photo of food is more likely to get some sort of interaction than a post with just a link. I don’t have much experience with YouTube or other types of social media, but that also might work for some people. 9. Remember that your audience is Twitch. Put yourself in their shoes. What do you want to see when you watch a stream? Do you want to be entertained? Relaxed? Remember that you are asking people to watch and talk to you for hours and hours every time you stream. You have to keep them engaged. 10. Have fun! This is the most important one for us. If you’re not enjoying yourself, it’s probably not going to be fun for your viewers either. And if you’re not having fun, it’s going to be way more difficult to keep doing this for the long term. Are we experts? Nope. Is this going to turn you into the next Ninja? Hah! Definitely not. But these are all things that can’t hurt, and hey – maybe they’ll even help a little! Id love to share this message, if you dont mind?